With the release of Samsung’s latest flagship phone, the Galaxy S8, many of you might be considering an upgrade. A case and a screen protector are often the first accessories that people pair with their new device. However, what about when it comes to staying safe and secure when using your new smartphone online? A VPN can help you do just that and your safety is even more important than that of your latest smartphone. 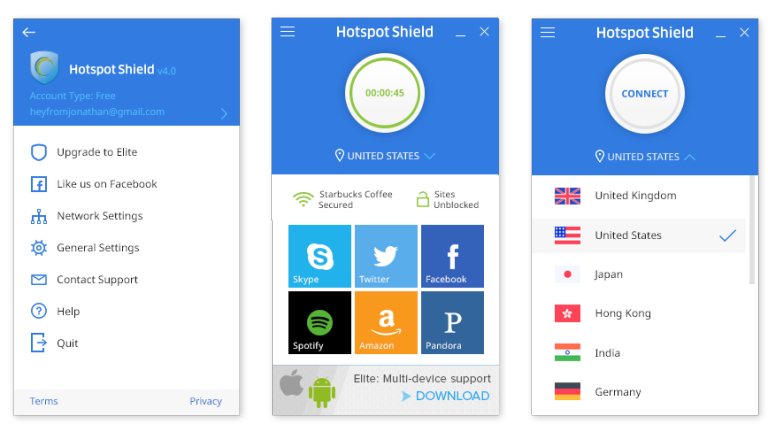 If you find yourself switching phones routinely or have multiple devices, Hotspot Shield offers support for up to five devices and has great download speeds. It is also very affordable and this VPN even offers a lifetime license for $140. Hotspot Shield is also easy test out for yourself with its 7-day trial. No matter what kind of mobile device you use, ExpressVPN has you covered with native apps for iOS, Android and even BlackBerry. This VPN also offers a number of web-based tutorials to help you get the service up and running on any of your devices. ExpressVPN currently supports up to three devices simultaneously and a 30-day money-back guarantee is available. This competitively priced VPN offers a wide range of plans and customers can even choose to get their own personal VPN server. KeepSolid’s client sports an intuitive interface that displays a great deal of information including your real and virtual IP addresses. This VPN also offers an ‘infinity’ lifetime subscription for those sold on the service.